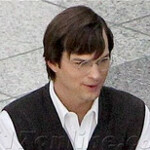 Ashton Kutcher stars as Steve Jobs in jOBS, the movie that focuses on 30 years in the life of the Apple co-founder. Expected to have the prestigious slot as the last movie shown at this year's Sundance Film Festival later this month, the film concentrates on Jobs' founding of Apple with pal Steve Wozniak, his departure from the company he helped grow into a household name, the creation of NeXt Computer, the purchase of Pixar and his return to Apple. Unless we see early prototypes in the movie, there is not an Apple iPhone or Apple iPad in sight. The cast was first spotted in June, filming scenes near Steve Jobs' old house in Los Altos. That is where the first Apple computer was born. The movie is expected to make its theatrical debut this coming April. 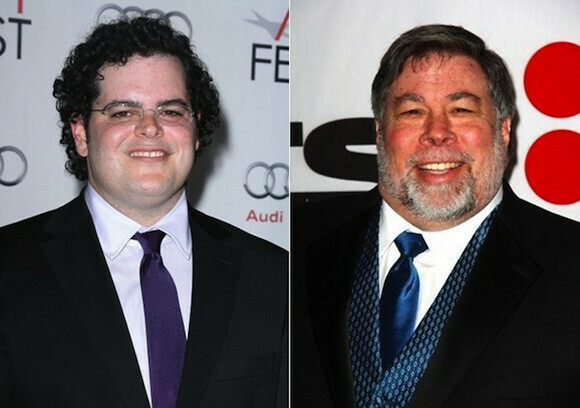 Some of the casting seems inspired, especially the selection of Book of Mormon's Josh Gad as Steve Wozniak (anyone who has seen the play will find Gad to be a perfect 'Woz'), Matthew Modine as John Sculley, The Help's Ahna O'Reilly as Chris-Ann Brennan, Jobs' ex-girlfriend and mother of his daughter Lisa, and J.K. Simmons portraying Venture Capitalist Arthur Rock. And Jerry Mathers as "The Beaver". There will be a second movie about Steve Jobs being written by "The West Wing" creator Aaron Sorkin and while that movie will supposedly deal with things that took place later in Jobs' life, an early outline of the script did not include the Apple iPhone or the Apple iPad. No actor has been publicly announced as the star of the movie. Lets see what childish comments (they) can come up with about this...should b interesting. Hmmm.....got it! If I wanted to pay money to watch a boring 2 hour movie about a thieving douchebag I would rent Wall Street! Ashton Kutcher is a funny guy I just don't think hes the guy for this role. He ruin one of my favorite show "two an a half men"
I think it's gonna bomb... we will see.